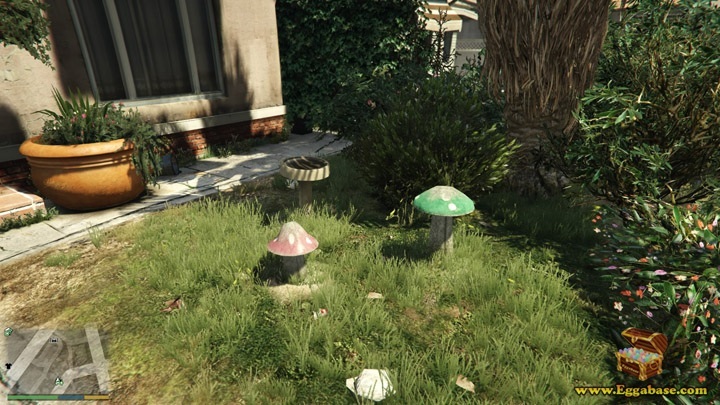 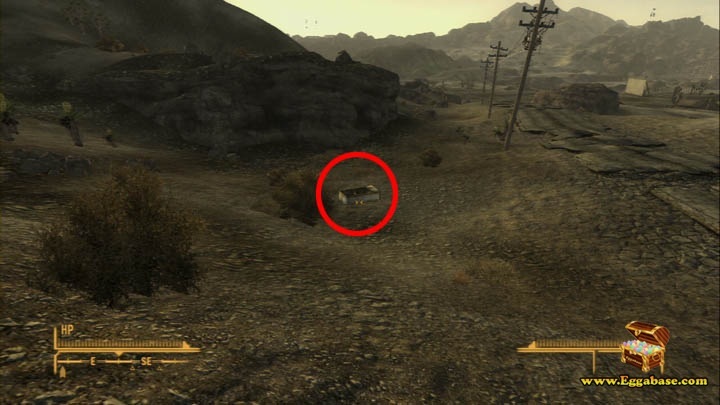 To view this easter egg in it's entirety players must have the Wild Wasteland trait activated. 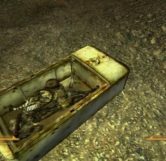 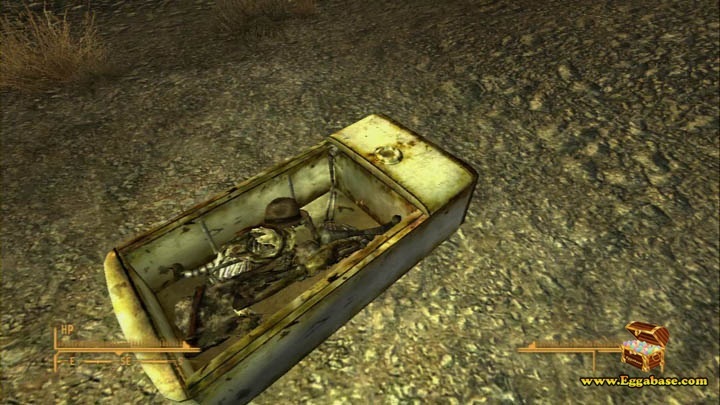 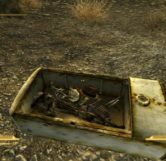 Remember that scene from Indiana Jones and the Kingdom of the Crystal Skull where Indiana Jones hides in a fridge to survive a nuclear testing blast? 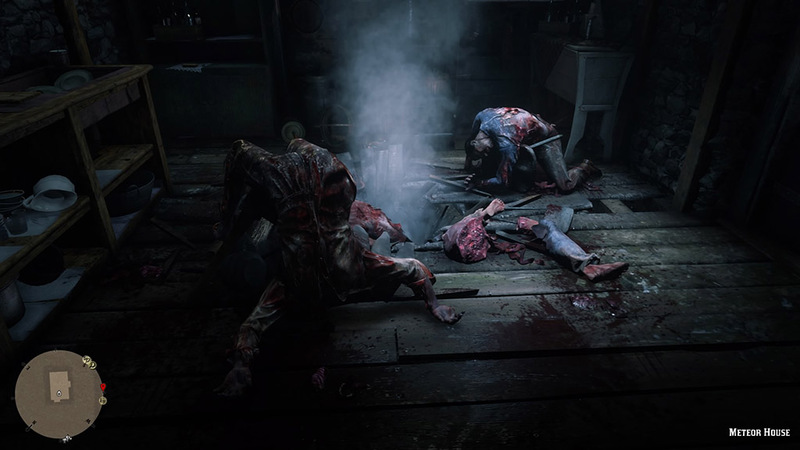 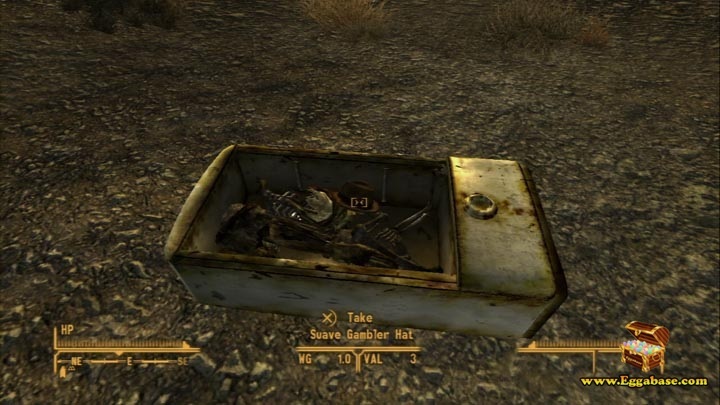 Well Bethesda does, and they decided to add their own twist to the movie in the form of an easter egg where the player can find a fridge with Indiana’s Bones (sorry), destroyed clothing and a “Suave Gambler Hat”, the hat that resembles the one Indiana Jones is so famous for. 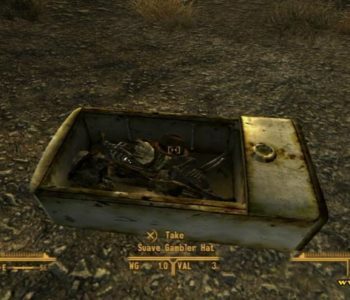 While the hat itself doesn’t protect you much, it gives you a bonus of one Perception which may help early in the game. 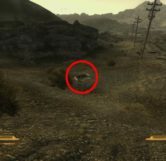 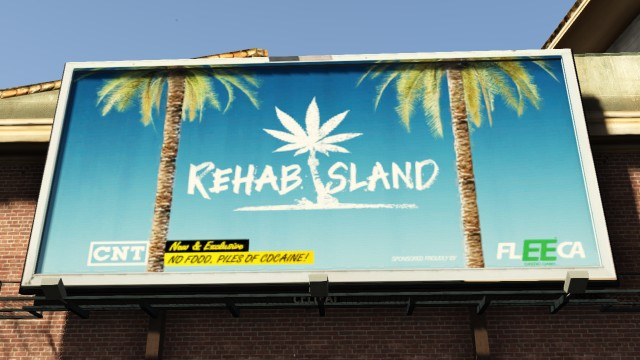 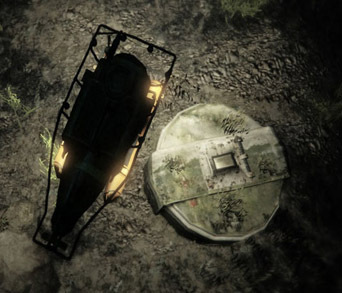 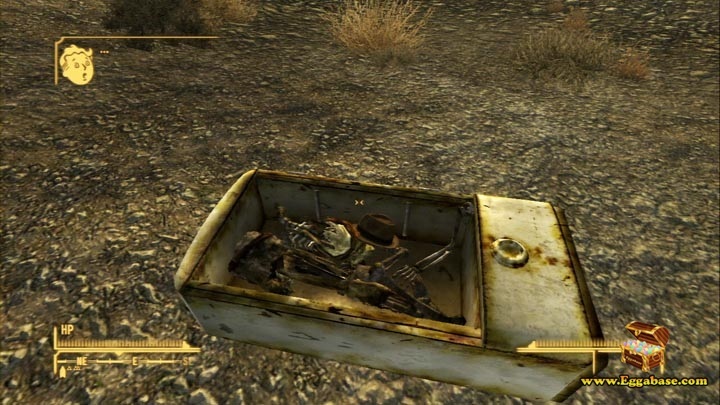 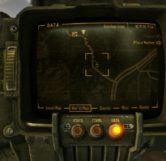 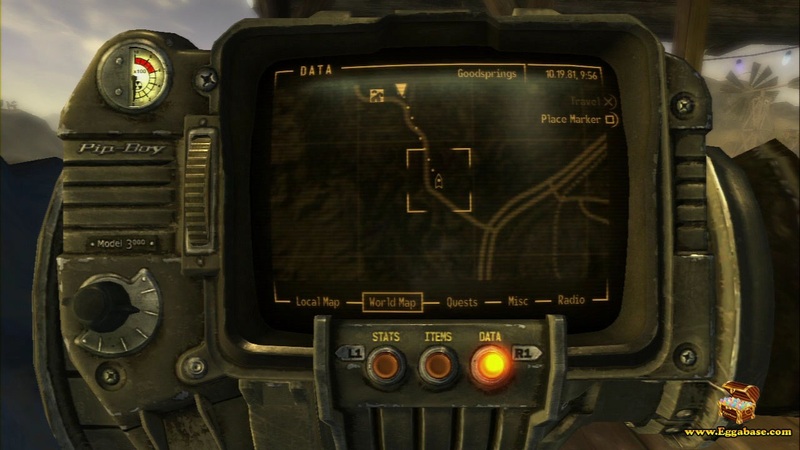 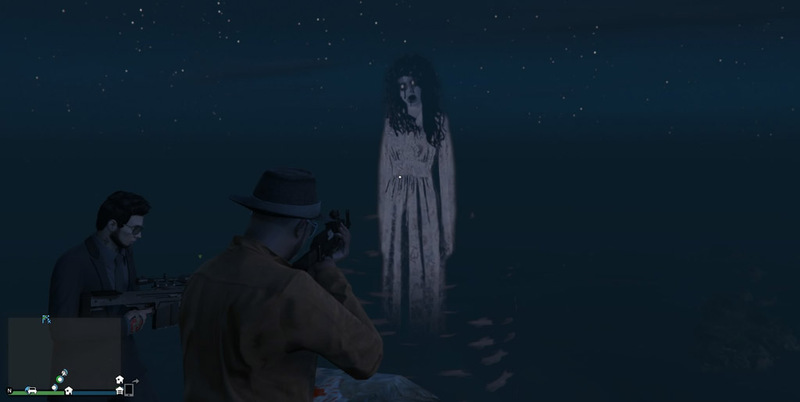 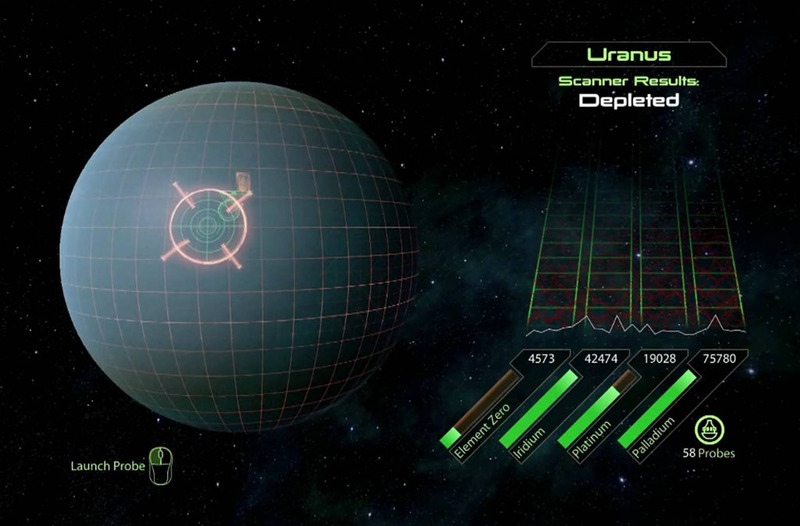 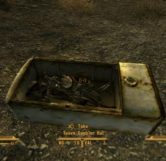 In order to view this easter egg the player must have activated the “Wild Wasteland” trait at the beginning of the game which puts a number of easter eggs like this one around the map for players to discover. 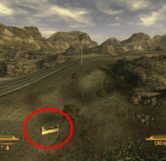 This easter egg can then be found shortly after leaving GoodSprings (the city your character wakes up in) to the South. 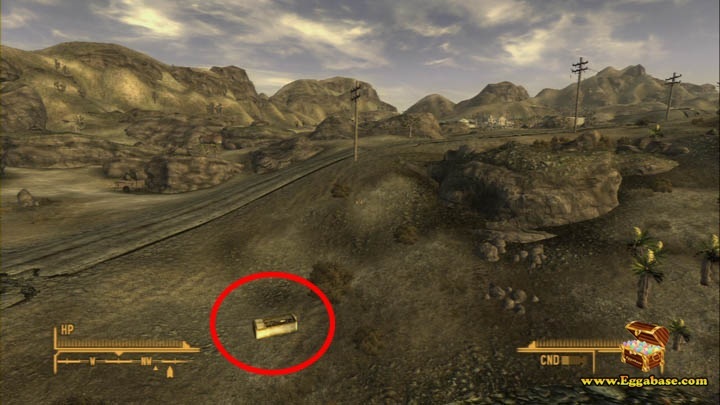 The fridge is lying on the left side of the road.